Magnavox prices are the result of Magnavox quality IN the long run, the price of the really successful and satisfactory product is set by the purchaser—not by the maker or the dealer. Because when the manufacturer and dealer charge too much for a product, they destroy its market; and when they charge too little they destroy its quality—which results in the same thing—loss of market. Magnavox Radio products are of the highest quality—and their prices bring them within reach of every serious radio user. This instrument is intended for those who wish the utmost in amplifying power; for clubs, hotels, dance halls, large audiences, etc. It requires only .6 of an ampere for the field. As illustrated The ideal instrument for use in homes, offices, amateur stations, etc. Same in principle and construction as Type R-2. 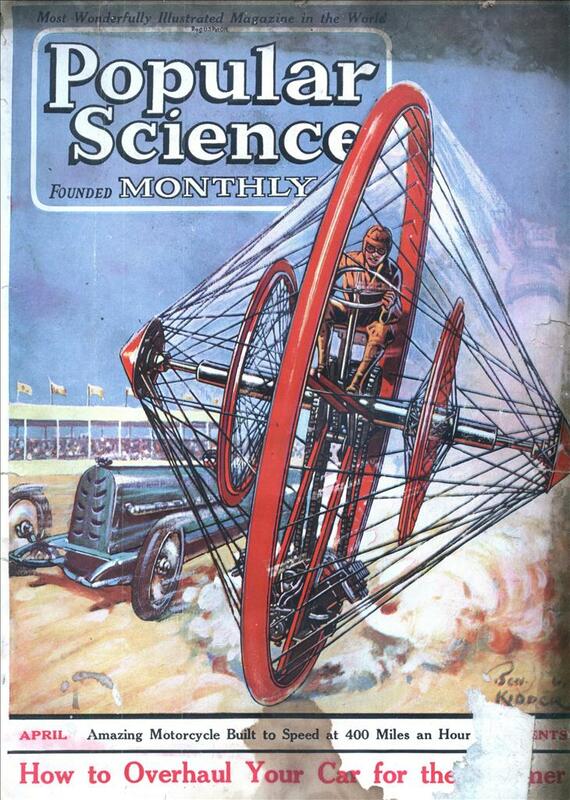 For use with the Magnavox Radio and insures getting the largest possible power input. 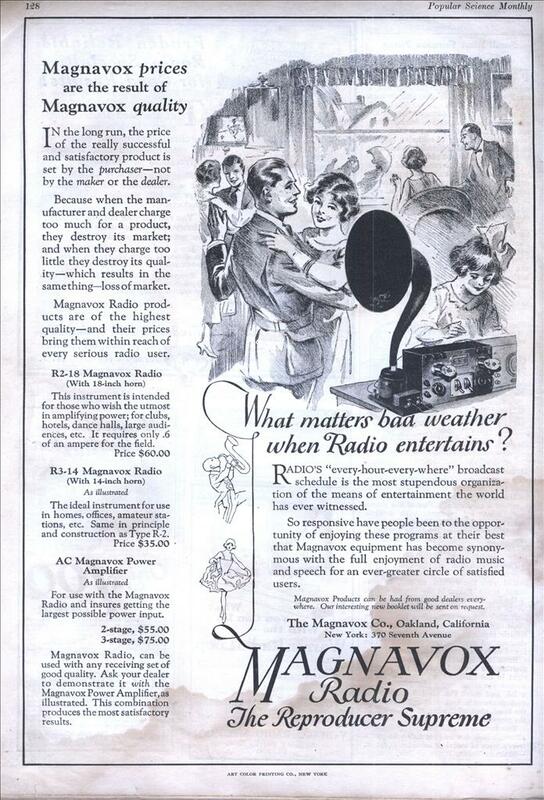 Magnavox Radio, can be used with any receiving set of good quality. Ask your dealer to demonstrate it with the Magnavox Power Amplifier, as illustrated. This combination produces the most satisfactory results. Magnavox Products can be had from good dealers everywhere. Our interesting new booklet will be sent on request. The Magnavox Co., Oakland, California. New York: 370 Seventh Avenue. Inflation corrected, that 1923 $60 radio would cost $811 today.